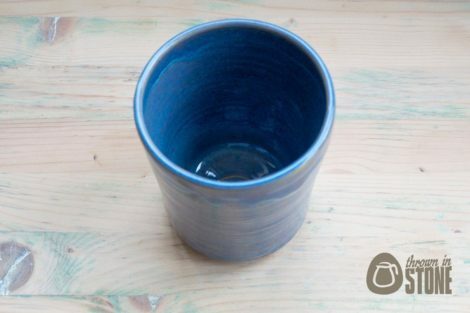 This vase was thrown by hand on my potters wheel using strong stoneware clay. 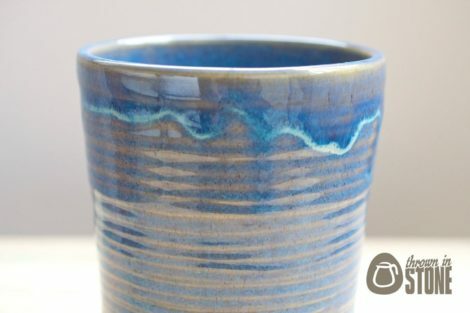 The surface was textured with concentric groves in the walls of the vase which pick up the glaze beautifully. 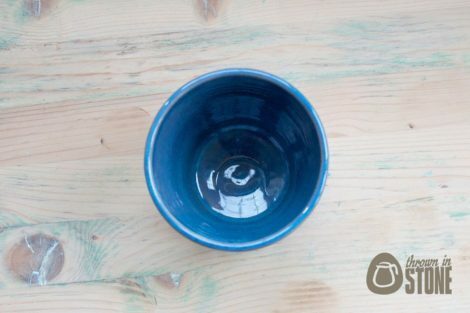 Finished in this gorgeous lustrous blue glossy glaze. 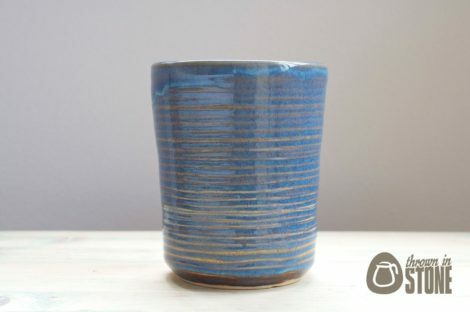 Would be perfect as a small flower vase or a very generous pencil pot. 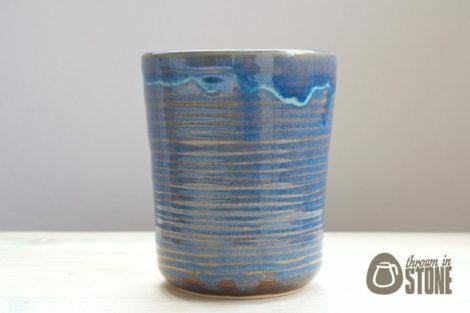 All of my handmade pottery is made in England will be well packaged prior to shipping, I’d hate for anything to get damaged in the mail. Happy to combine shipping, post worldwide and all of my items are made and ready for immediate dispatch, the item photographed is the item you will receive.